When was the last time you saw a roach in your home? They’re ugly, disgusting and always seem to be around the places where humans live. If you see one, there’s probably a lot more hiding that you can’t. Roaches THRIVE in the same exact conditions that are suitable for people. They’re also nocturnal creature hiding during the day and coming out to play at night. By the time you see one on your kitchen floor, it’s too late. One of the best ways to monitor a roach problem is to use a trap. The best roach traps use an attractant and a strong adhesive that sticks them to the surface to die. You can apply the traps in places you think roaches are hiding to determine how many there are. Once you catch one, then you can then take further (more lethal) steps to take care of your roach problem.But what are the best roach traps if you want to buy one? This is article explains it all. 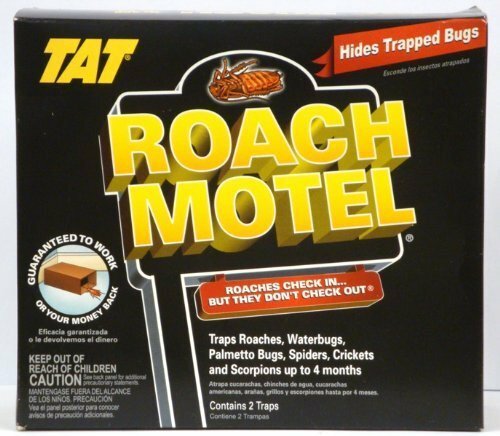 What to look for when buying roach traps? Do roach traps even work? How do you use roach traps? Below is a quick list of our favorite roach traps. If you have some additional time, we'd recommend you continue down into the guide to read up on how to deploy each in an effective way. Roaches prefer the dark and rarely venture out from hiding during daylight hours. This means it’s difficult to know how big your problem actually is. Traps let you monitor the places where you think they may be coming from before you start to unleash stronger killers. In the most simplest time, a roach trap is a mechanism that captures the bug and stops it from escaping. Some roach traps use a mechanical action where others use a sticky surface to trap. You can also make your own using household products such as a strip of duct tape or empty jars. This video shows you how to make a simple homemade trap using a jar. The first thing is to determine what you want to achieve with a roach trap. Do you want to use it to catch and kill a small number of pests or will it be used to find where they’re come from? The answer to this question will decide the type of trap you should use. Read Also: What're the best cockroach repellents? If you want you want use traps to reduce the level of an infestation you should , consider the level of maintenance that it might take. More often than not, you’ll have to keep checking your trap every few hours to remove the dead roaches. Traps in general are non-specific, so your roach trap might end up attracting other bugs, then attract bugs that want to eat those bugs. If you’re goal is to kill roaches, our recommendation is usually to go with roach bait with a delayed action insecticide. This is then spread around the nest and colony through feces, secretions, and making contact with other dead roaches. But remember, always be careful if you’re using toxic substances traps around pets. Traps tend to be more suited as a monitoring device to check if you have a roach problem. Most are non-toxic and can be disbursed near suspected nests with little to no risk to you pets or children. 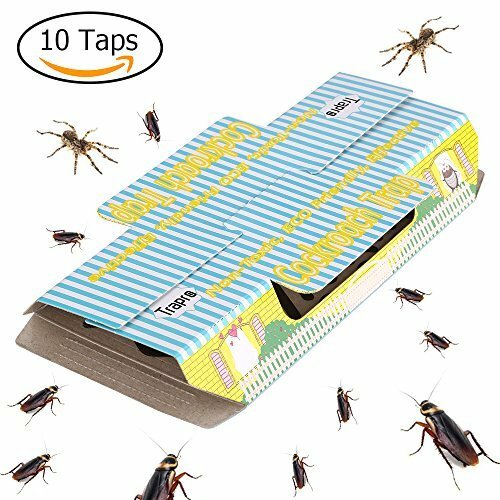 Sticky traps are a good﻿ way to check the number of cockroaches that you and act as a non-toxic killer. Interested In More Ways To Kill Roaches? Click here for our top cockroach killer picks! Most traps will mimic certain food sources and pheromoans that roaches give off attracting them in droves. As I mentioned, traps are a fantastic preventative measure to find where your cockroaches are coming from. If you have a small-scale infestation, this is probably your best most affordable way to control the problem. Just remember, if you have a larger infestation, traps tend to be overmatched. If you have the money for it, the best approach is to use traps in conjunction with other methods of control (baits and sprays). Homemade and off-the-shelf products are the same in this respect. You need to put traps in the areas where you see a lot of roaches or near their nest. If you don’t put the trap anywhere where they’re living, you won’t be doing any damage to their population. Read Also: What're the best cockroach sprays? This section teaches you how to be more strategic with your roach traps when it comes to car, home, and outdoor infestations. Crumbs provide food, the vehicle gives warmth and shelter, and the nooks and crannies are perfect breeding grounds. A couple years ago some friends and I decided to go to the waterpark on a hot summer day. We wake up early, got dressed in our bathing suits, and headed on our way. Just as we got on the highway, my friend switched on the A/C and several roaches flew out of the vents. Not only was this both disgusting and horrifying, it was also dangerous. I think it’s safe to say when cockroaches are flying out of your car vents, your attention isn’t on the road. Roaches can cause accidents. Take action as soon as you see them inside your car. The best measure is to periodically give your car a good clean and remove any crumbs. This removes their food source. You can then put baits and traps under the seats on disposable trays. Roaches are nocturnal and will go to the bait when you’re out of the car during the night. Disposable trays make the baits more stable when you’re driving. The best place is under the seat because it’s out of the way and you’re not going to disturb it. Expect to see results within a few weeks to a month. Just make sure to avoid using sprays or powders inside your car. You don’t want to breathe in any harmful chemicals the next time you’re driving. Your home is the most likely place that you’ll probably encounter a roach problem. Roaches like to be in dark places and tend to come from cracks in the walls. They also like high places where they’re less likely to be disturbed. For this reason, you should put the traps along the walls and in the dark corners. Another great place is to use them behind the fridge or under the sink. Consider setting a few traps in the higher places, such as on top of the cupboards too. Seeing a cockroach outside isn’t nearly as bad as seeing roaches inside your house. It is a bit more difficult to control the outdoor population as the nest is harder to find. The good news is that the traps that you bought for indoor use can also be used outside. Just remember that you do run the risk of trapping other beneficial insects that ould be good for your garden (think lady bugs, bumble bees, etc). If you’re looking for a homemade option, try using a jar filled with jelly. When you capture some bugs bury it in a small hole in the garden. Check the container every morning. If you have a lot of roaches, they’ll try to escape. I like to seal the jar and place it in the freezer for a few hours. Freezing is a great way to kill roaches and it also stops them from escaping when you open the lid. This section describes five of the best roach traps that are available commercially. Some are better than others at attracting and trapping the roaches. Others are more effective in certain weather conditions. Read the reviews and find the ones that will work best for your situation. Trapco is a cockroach trap that uses a glue coating as a strong and long-lasting adhesive to trap roaches and other pests. To use this, simply open the trap and set it in the corners of the rooms. Some people add poison to the trap, others burn or pour boiling water over traps when they’re full. Trapco is pet-friendly and uses a bait with a very sticky surface. However, the bait can be messy and it’s difficult to set up sometimes. This is versatile against several species of pest including roaches, spiders, and bed bugs. You can use the sticky surface backing on the Trapper to put it almost anywhere in your house. The best place to put these roach traps is along your walls and baseboards. 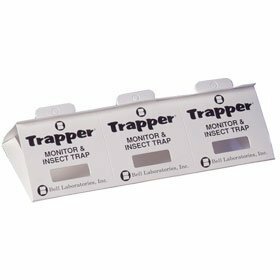 Trapper is an affordable product that’s a good way to control a small number of pests or track where they’re coming from. Similar to other traps, Trapper has a hard time catching larger roaches. BlackFlag works better in small to medium levels of infestations. It traps roaches and other crawling pests that are inside your home. You can expect to see a reduction within four days. The main advantage is that the dead bugs are out of sight and they’re easy to dispose of. However, the syrupy bait releases a slight odor and it doesn’t attract bugs towards it. 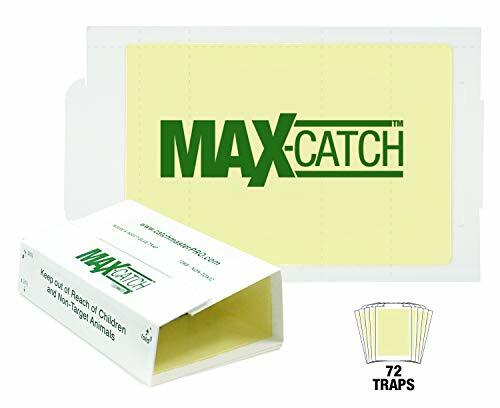 The Catchmaster traps are some of the best indoor nontoxic cockroach traps on the market. The package comes with 12 boards 8"x5" boards, which is slightly bigger size than it's competitors. The trap has a peanut butter scented glue, which attracts a mice, rats, spiders, cockroaches, and a number of other bugs. This is a super simple trap with glue, some cardboard, and a peanut butter scent. There are no poisons at all, but you should still make the effort to place it away from pets and children. For dusty areas, fold the glue board and you should be good to go. Overall, I think Catchmaster 72MB gets the nod as the best roach trap. The boards are large and use a peanut butter scented glue that works not only on cockroaches and crawling pests but also on small rodents. Catchmaster traps can also be folded up and placed around your house to protect it from dust (which is actually really important). If dust gets into you trap, it'll dry out the glue. Just remember, cockroach traps are best used as monitoring devices if you suspect you have an infestation. Lay a couple Catchmaster traps down near suspected nest locations and you should be in good shape. Curious about other roach related products? Check out our other detailed guides to help you deal with your pest problems.